Are you struggling to find off-market motivated sellers in this shifting market? Finding off-market motivated sellers online can be tricky, but not with a clear plan and the right tools and support from InvestorCarrot. Our goal is to help level the playing field between the “big guys” and everyone else. 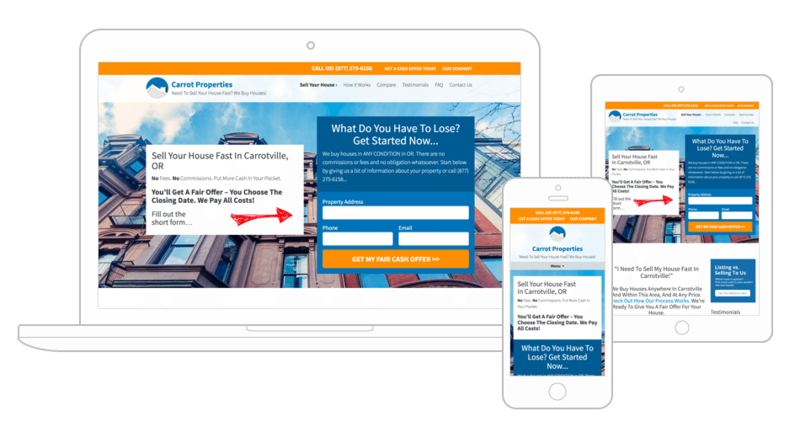 Some of the largest house buyers / flippers in the nation are clients of ours, but we realize not everyone has the expertise or budget to put together a high performing website from scratch. That’s where we come in. Launch a high performing website, leverage our SEO tools, traffic training, expert support, and if you’d rather be “hands off” we can help with that too in our Carrot Marketplace with our Certified Carrot Traffic Partners. We make the hard tech & marketing decisions so you don’t have to. As an active investor you’re busy doing what you do best, working deals. You shouldn’t have to worry about hackers, how to build a website that performs, messing with code, or even trying to reinvent the wheel when it comes to how to attract motivated sellers to your site. Our members pull in hundreds of thousands of leads 100% online every year and we bake the best practices into our sites so you can do what you do best. Best of all, we’ll never leave you hanging. Our support is pretty darn epic. Improve Your ROI With Carrot Inbound. Studies show that leads from Inbound Marketing and SEO are up to 3x times more likely to turn into a deal than other lead sources. This means a higher return on investment with your marketing dollars over the long-term. 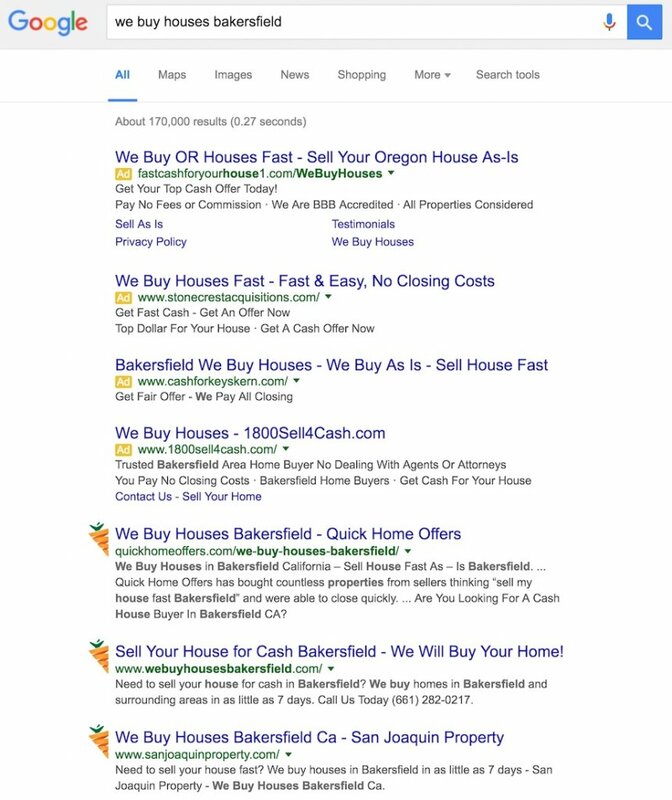 As the #1 Inbound Marketing tool for real estate investors and agents, we’ve built in the tools to help you rank our websites better in Google without being an SEO expert. In addition, whenever you need help or hit a roadblock with your SEO efforts simply hop on a 1 on 1 strategy call or a weekly LIVE Coaching Call with our strategy experts. A lot goes into getting a top ranking in Google. Google looks at over 200 factors to determine where to rank your website. We’ve taken our extensive SEO experience and built our website platform from the ground up to give you an edge in the search engines vs. other platforms and your competition. From there, take that jumpstart our platform gives you and implement our detailed SEO training (or outsource it). Have questions or get stuck? We’ll guide you through it. You’re never alone. We Worry About Mobile, So You Don’t Have To. You know all of those “mobile” changes you keep hearing about? Google’s latest algorithm change, new innovations in cell phones, they all impact how motivated sellers find and interact with websites. Our team focuses on not just keeping up with mobile trends, but staying ahead of the curve. Are You Losing Leads Because Of A Bad Mobile Experience? 8 out of 10 real estate investor websites we’ve surveyed are underperforming on mobile devices. Even just 1 lost deal can mean $10k+ in lost profits. The first step in a high performing mobile website is to build it with “responsive” technology so the page seamlessly adjusts to any size device. 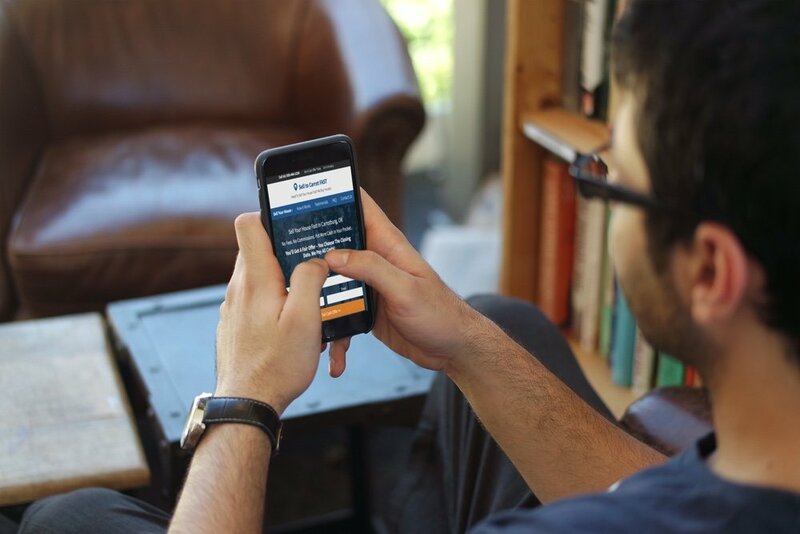 The second step, which most investors miss, is structuring that site to be as easy as possible to use for motivated sellers on their mobile device. That’s where we excel and do all the heavy lifting for you. Also we’ve noticed we’re getting a lot more consistent with online lead gen. Closed 10 this year from on InvestorCarrot, but the margins are always higher from internet leads.